One of the great ‘can’t miss’ events on the local cricket calendar will return to Toomuc Reserve later this month as the Pakenham Cricket Club hosts its annual Pink Ladies Day luncheon. 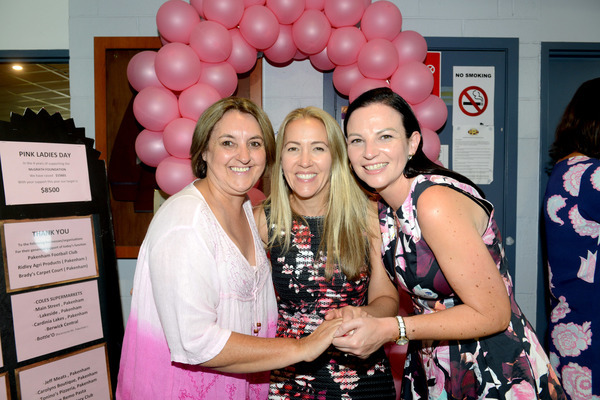 Now entering its sixth year, the function has already raised a staggering $26,088 for the McGrath Foundation – which funds breast care nurses in communities right across Australia. The foundation currently has 120 McGrath Breast Care Nurses who help individuals and their families experiencing breast cancer by providing physical, psychological, and emotional support – for free. More than 67,000 families have been supported since 2005, but more nurses are desperately needed to meet the growing rate of breast cancer diagnosis in Australia. Pakenham’s annual Pink Ladies Day luncheon will be held at the Pakenham Football Club social rooms on Saturday, 16 February from 12 noon. Tickets are $40 each, with guests receiving a complimentary champagne on arrival. They will also have a buffet lunch, hear from a guest speaker, and witness and take part in the games and raffles throughout the day. Drinks will also be available at bar prices. The Pakenham Cricket Club’s fundraising target for 2019 is $7500. The prepaid event, which is strictly limited to 200 people, was this year nominated for the Cardinia Shire Council’s ‘Community Event of the Year’ at the annual Australia Day awards. Guests are invited to dress to impress in pink to add some colour to the day. Last year, Pakenham Cricket Club legend Eddie Lewis bid farewell to his famous bushy white beard – all in the name of raising money for the McGrath Foundation. Ed hadn’t been seen without a beard for 45 years prior to the event, but he was more than happy to see it go for the cause. Hundreds of ladies gathered around the RL ‘Cracker’ Jackson Stand at Toomuc Reserve’s front oval to watch him do his bit for the cause – aided by another iconic Pakenham figure, Graham ‘Uncle’ Treloar – as his stunned family watched on. After the shave, back in the rooms, Ed admitted becoming emotional – particularly when presented with a Mark Knight caricature of him with his beard. “I was talking to a lady who’d gone through breast cancer, and she just about had me in tears,” Ed said. Ed said it hit home just how many of the ladies in attendance for the function would have had their own, personal stories to tell. “Life isn’t just fun and games,” he said at the time. Pakenham will take on Tooradin in a Premier grade blockbuster on the same day as the Pink Ladies function. Tickets are still available. For inquiries, or for more information, contact Phil Anning on 0488 401 378.